KUALA LUMPUR, Jan 3 — Several Universiti Malaya (UM) researchers have created a new kind of street lamp that mimics human smells to lure and capture mosquitoes in a bid to curb the spread of insect-borne diseases, especially the dengue epidemic. The solar- and wind-powered device consists of an LED lamp which produces carbon dioxide in low-enough amounts that is said to be irresistible to mosquitoes. “The mosquito trap takes advantage of the mosquito’s sensory abilities by tricking them with features that mimic the odours associated with humans. “Decoyed mosquitoes enter the trap through the capture windows on the upper part, and then are strongly sucked into the capture net in the lower part by a suction fan. Once they are sucked into the capture net, they cannot fly away,” the team’s head researcher Chong Wen Tong was quoted as saying by UK daily The Guardian today. He added that the lamp’s self-sustaining green technology allows it to be functional even during floods. “For remote areas with no access to the electrical grid, this system can serve as a stand-alone, self-sustained renewable energy source to supply basic electricity needs. It is scalable to match the energy demand. “Moreover, the battery, electrical wiring and controller have been designed to be placed on the top portion of the pole and this allows the system to continue functioning during floods,” he was quoted saying. Chong said the initial cost of purchasing and installing the LED lights are high, but added that the long-term benefits, both environmental and economical, far outweigh the costs. “Based on life-cycle analysis – electricity prices are relatively low in Malaysia – the payback period is six years. 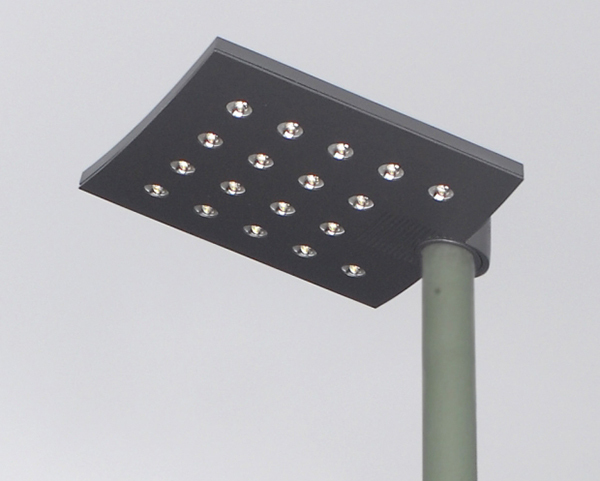 In urban settings, the installation of the conventional street lights requires landscape disruption in order to have electrical connection. “With this invention, these indirect costs, such as trenching, cabling, rebuilding the landscape and maintenance, are minimised or eliminated,” he was quoted saying. The invention is also said to reduce the energy demand in urban areas while helping to generate energy in rural areas which may not have access to electricity. More than 96,000 dengue cases had been registered in Malaysia, up more than 19 per cent, according to the World Health Organisation (WHO). Malay Mail also reported an increase in dengue fever fatalities with 282 deaths from January to November last year compared, to just 162 fatalities during the corresponding period in 2014.